Here at IIMHCO we are currently finalizing the Keynote Speakers for this upcoming next conference on Integrative Maternity Healthcare. We are thrilled with the calibre of international experts who are showing tremendous interest to attend this global summit ‘Downunder’ – and we are well aware of the extraordinary local gurus too. We are very much looking forward to welcoming again one of our absolute favourite “goddesses of midwifery” Elizabeth Davis, who has been a true pioneer on women’s issues since the late 1970s, and author of the iconic “Heart and Hands” midwife’s guide to pregnancy and birth. Elizabeth served as representative for the Midwives Alliance of North America, and as President of the Midwifery Education Accreditation Council for the USA, and is co-founder of the National Midwifery Institute Inc. Her mission is to promote an Integrated view of birth, sexuality, family and ecology. IIMHCO is thrilled to confirm Dr Ricardo Jones as an honoured guest. Dr Ric Jones is arguably the world’s leading homeopathic Ob-Gyn. Greatly admired, he worked for decades “catching babies” in Brazil with his close-net team of Obstetrician-Midwife-Doula. Dr Jones is also an immensely respected author on the topic of humanistic obstetrics. Today he travels the world giving training workshops on Obstetric Homeopathy, and lecturing on the Humanization of Birth. Amongst other roles, Dr Jones is also a member of REHUNA (Network for Humanization of Childbirth), member of HumPar (Assoc of Humanization of Childbirth), Consultant for ANDO (Brazil’s National Assoc of Doulas), Consultant for CMM (Uruguay’s Montevideo Maternity Perinatal Institute), Contributor to IMBCI (International MotherBaby Childbirth Initiative), and has been a Clinical Physician with the Homeopathic League for 2½ decades. Dr Jones has authored two renown books “Memories of the Glass Man – Reminiscences of a Humanistic Doctor” and “Between the Ears – Birth Stories”. 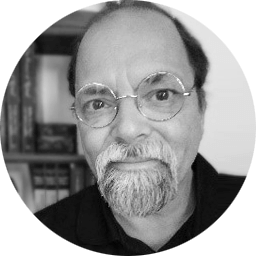 He has also collaborated on many books with other world influencers such as Marcus Renato de Carvalho, Robbie Davis-Floyd, and Sylvie Donna, including “Breastfeeding – Scientific Bases”, “Birth Models that Work”, and “Promoting Normal Birth: Research, Reflections & Guidelines”. In this lecture, Dr Ricardo Jones addresses the central questions of the paradigmatic revolution related to the attention to childbirth that, beginning with the onset of obstetric science and medical intervention in the late seventeenth century, continues to transmute towards a more integrative view of the phenomenon of birth, at the dawn of the 21st century. Through the most important historical references on the emergence of movements to improve the assistance of childbirth in the world, he discusses with the audience, the main themes of this debate: the agency restored to women in childbirth, the interdisciplinary view of birth and the linkage of the postulates of humanization with the medicine of the late 20th century, known as “Evidence-Based Medicine.” With clear language, scientifically structured and with humor he analyzes the serious problems that we are facing: the excess of interventions, objetualization of patients, epidemic of caesarean sections, unreasonable protocols to childbirth, etc. At the same time, he discusses what he calls “the best of two worlds”: a woman-centered obstetric care that provides affective, emotional, psychological and spiritual support for pregnant women, as well as guaranteeing access to medical technologies for those cases in which there is a deviation of normality. The idea of “obstetrics in the perspective of the subject” arises, with this keynote focusing on the understanding the dilemmas of childbirth in contemporary western societies. François and Julie share the lifelong passion of integrating mind, body and Spirit consciousness, how to transform suffering into Self Realisation and bring about a thriving world for all. 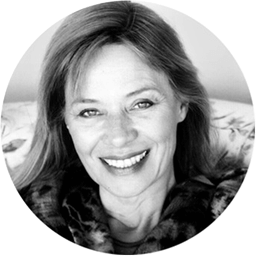 Julie pioneered the Holistic Parenting Programme: Preconception to Birth & Beyond from their community home Providence in the French Pyrenees where they continue to teach and train professionals including in Alchemical Hypnotherapy and HypnoBirthing®. They are international speakers including recently at the House of Commons (British Parliament), United Nations, universities, multiple international conferences, health and wellbeing institutes and hospitals. They have appeared in documentaries, radio/internet and print media. Awards include: Doctorates in Holistic Medicines, World Family Organisation Award, Indian Academy of Health Psychology, National Guild of Hypnotists, HypnoBirthing® International. 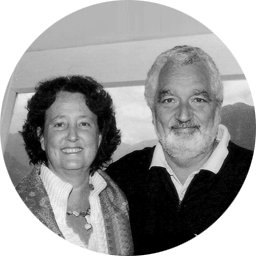 Julie and François are the co-founders of Birthing The New Humanity® International Conferences, and Birth The Change® a leading edge educational system to inspire and teach community health and wellbeing empowerment. Their programmes contribute directly to the achievement of the UN Sustainable Development Goals. Effective, economical and collective solutions are here. In just two or three generations the international goal is to make this paradigm shift a global reality. The time is Now! Everyone is needed to make this shift as swiftly as possible in harmony with the United Nations SDGs, World Health Organization/UNICEF documents and the G20 Initiative on early childhood development. 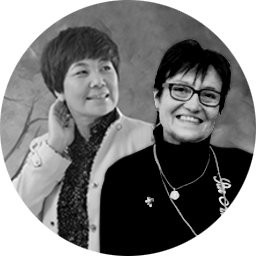 China is modernizing their maternity services at the most incredible speed, and Meng “Jenny” Xue is absolutely leading the charge of integrating holistic care, supported passionately with hands-on clinical knowledge from the British-Kiwi midwife Irene Chain-Kalinowski – and the dramatic rapid changes in China are truly mind-boggling. Meng is Founder of the China Midwifery Alliance and the China Midwifery website, President of the Qingdao Huikang Nurse-Midwife Training School, Co-Chairman of the China Maternal & Child Health Care Action Coalition, Director of the China Medical Council for Promotion of Modern Maternity Science & Technology Development, and Founding Director of the holistic Modern Maternity Service System (MMSS) being integrated into Chinese Hospitals. Meng has more than 30 years’ experience in maternal health, and has an unquestionable passion for Midwifery and the women and families who put their trust in maternity services. In 2010 she organized the first annual Midwifery conference in China as part of their National Grade Learning, and as a communicating platform for Midwives and Obstetricians, bringing International and Chinese experts to the stage (including an invitation to IIMHCO’s founding director Kathy for the 2018 conference). Irene Chain is Meng’s right-hand lady having been practicing midwifery for nearly 40 years, (and also Meng’s “conference translation” asset). Irene is herself a very experienced homeopathic-midwife, nurse, lecturer, creator of My Body My Baby, and the main international advisor as Director of Operations for Meng’s MMSS (Modern Maternity Service Systems). 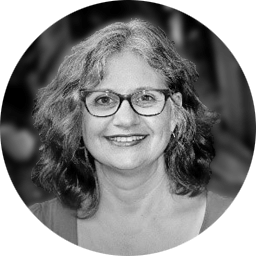 Additionally, Irene is the Homeopathic Midwifery Advisor to the AHE (Academy of Homeopathic Education) in New York; founder of the AHE Homeopathic online course for Midwives; and author to arguably the most comprehensive English textbooks available on integrated obstetric homeopathy for the prenatal, birth and postnatal periods. As a respected doctor and clinician with 25 years’ experience, Dr Emma Parry has won many awards for her work in medicine and has held several senior leadership and governance roles. She is especially interested in screening, nutrition, complex multiple pregnancy and improving maternal and perinatal health in the developing world, and is a great supporter of Integrative Maternity HealthCare. Dr Parry established the New Zealand Maternal Fetal Medicine Network, which ensures women have access to excellent perinatal care. She was also media spokesperson for the Royal Australian and New Zealand College of Obstetricians and Gynaecologists for 8 years. In 2015 she received an award for Excellence in Teaching from the University of Auckland. 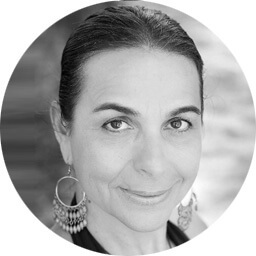 Maha Al Musa is an the founder and educator of EmbodyBirth™, an award winning author, and creator of the Dance of the Womb – The Essential Guide to Belly Dance for Pregnancy and Birth book (endorsed by Dr. Michel Odent and Sheila Kitzinger) and the follow on BellydanceBirth® Practice Video Series. Maha is also an international maternity speaker, and breastfeeding advocate. Maha gave birth to her last, her daughter Aminah, when she was 46 years of age – a home water lotus birth and breastfed her till she self-weaned at 8.5 years. Maha has been featured and interviewed on multiple TV shows and magazines including A Discovery Channel documentary (Shocking Breastfeeding); CNN International, Daily Mail UK, Huffington Post Canada and UK, Daily Telegraph, New York Post, Independent UK; Sunrise TV, A Current Affair, The Morning Show, Inside Story Australia, Woman’s Day, Take 5, and Marie Claire. Through her birth work Maha wants to encourage EVERY expectant woman to align with the innate birth intelligence that resides within their womb and trust in its guidance. Brad Crouch’s incredible medical herbalism knowledge within the specialty of Maternal Wellness makes him arguably the top naturopathic expert in New Zealand … and his last keynote at our 2015 Integrative Maternity HealthCare conference received unprecedented “fan feedback” from the attending delegates. Brad is a general family naturopath who has earned the respect of members of the obstetric medical profession in Auckland and throughout the world. This is particularly because of his outstanding work and successes in helping patients with infertility to achieve natural conception, and maintain their pregnancy. He tirelessly researches his remedies and believes that as a naturopath he needs to be open to new ideas from all cultures and corners of the globe. This allows him to be at the forefront of new techniques and discoveries. 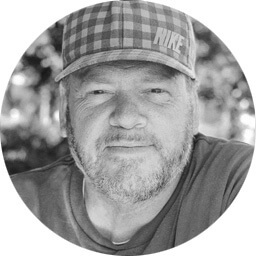 From Calcium to Cohosh, and 5-W to Blessed Thistle, Brad is a Guru of naturopathic maternity healthcare. Brad’s reputation of creating miracles, has made him into an iconic infertility specialist for many decades … with over 50,000 patients, all just through word-of-mouth. He is undoubtedly one of NZ’s most renowned and internationally-respected gynaecological and obstetric medical herbalists. And one of Brad’s most-used tools in his toolbelt, is Iridology. Iridology (and sclerology) are not forms of treatment — they are diagnostic assessment tools. Iridology reads the colours and characteristics of the iris, and sclerology examines the red lines in the whites of the eyes. Because iridology is not a treatment, most iridologists are Naturopaths who have also studied a complementary medicine such as medical herbalism, in order to treat disease. Iridology and Sclerology can be useful for practically everything as an extraordinarily valuable diagnostic tool to identify dis-ease and confirm wellness. Loula George is a registered naturopath and medical herbalist. She has specialised in fertility and women’s health for the last 25 years. 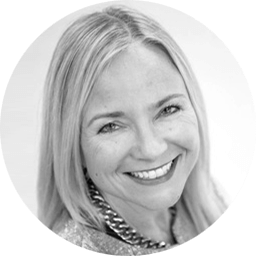 Loula is also a director of Auckland’s Mother-Well Holistic Health, an integrated, multidisciplinary health centre with a focus on fertility, women and children’s health. Her passion is educating couples about the importance of preconception care. Loula also offers genetic analyses as a way to optimise the chances of a healthy conception, pregnancy and a healthy child who has a greater opportunity to reach their potential in their lives.